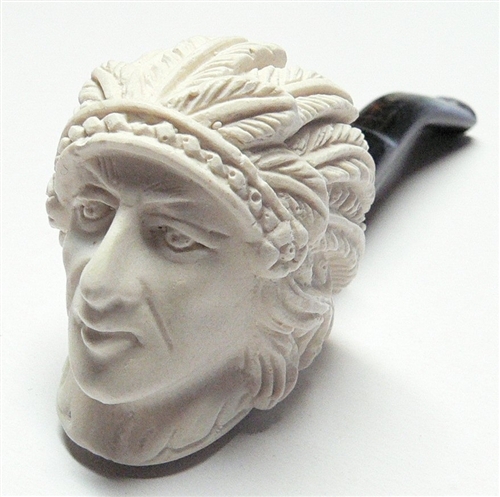 Mini Deluxe Hand Carved Indian Meerschaum Pipes - This Mini Deluxe Sitting (Flat Bottom) Meerschaum Pipe is made from Turkish Meerschaum and Natural Minerals. 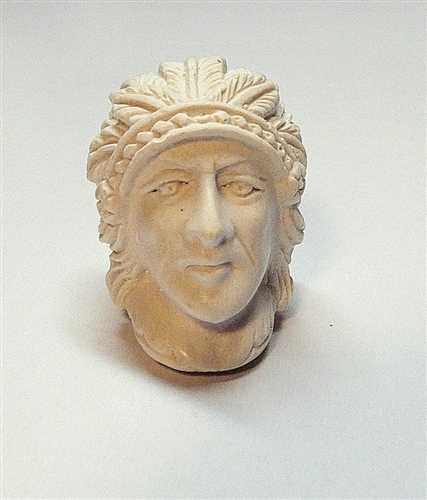 The bowl is guaranteed to never burn out as what happens with some wood or Briar Pipes. 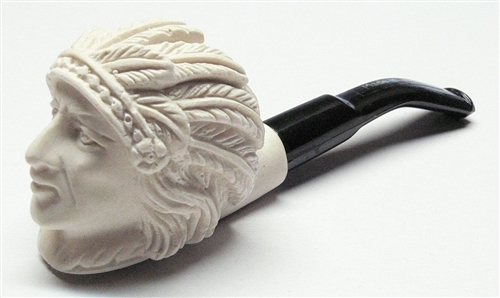 Every Mini Deluxe deluxe Meerschaum Pipe is hand finished and each pipe is inspected for consistency in design and quality.